Environmental consulting, engineering & remedial operations & management firm providing soil consulting, testing & remediation services. Specialized services include soil & ground water quality delineation, subsurface investigation, waste transportation & disposal, groundwater monitoring, etc. Specializing in contracting for demolition, industrial cleaning, construction services & other state, local & federal government contract needs, including environmental remediation services for contaminated soil &/or contaminated ground water. 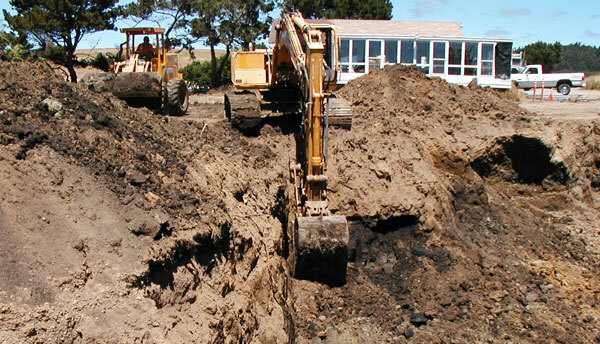 Remediation services include excavation etc. Company Profile: Full service environmental consulting & contracting. Environmenal testing to remediation to closure. Environmental site remediation & restoration. Underground storage tank (UST) closure & compliance. Environmental site assessements including Phases I - IV. Hydrogeologic studies. Soil remediation services with the capability to service highway median spills to leaking tanks at RCRA sites. Programs developed for the assessment, characterization & remediation of contaminated sites. Services include soil & groundwater assessment, underground storage tank (UST) assessment, etc. Manufacturer & distributor of water filtration & purification equip. Ground water remediation services. Soil remediation services including environmental assessments, investigations, remediation & disposal, permit development, laboratory analysis services, contaminated soil removal/disposal, in-situ & ex-situ bioremediation, groundwater extraction & treatment, on-site stabilization & fixation, sludge, etc. EQ - The Environmental Quality Co.
Company providing Environmental Remediation, Construction, Project Management, Stormwater Erosion Control, Groundwater Monitoring, Site Investigation and Compliance, Environmental Consulting and Oil Field Support Services. Contracting services in Soil Remediation, Groundwater Remediation, Surface Water Remediation and Lagoon Closures. Contaminated soil represents a growing challenge. The more than 30,000 potentially contaminated sites in Canada represent a lost economic opportunity and threat to the health and wellbeing of Canadians and the environment. This contamination is the legacy of industrialization and insufficient environmental legislation and enforcement. Globally hundreds of thousands of contaminated sites have been identified and require clean-up. The growing need for soil remediation is poised to become a large driver of technology, products and services for years to come. The soil remediation sub-sector includes any company that provides technologies and/or services that assist in the assessment, clean-up, decommissioning or rehabilitation of soil contaminated by petroleum hydrocarbons, pesticides, inorganics, heavy metals and radioactive wastes. These can be found in a variety of sites such as oil and gas operations, mines, industrial complexes, waterways and harbours, leaking underground storage tanks, etc. Technologies to remediate contaminated soil fall into two principal clean-up approaches: in-situ (which is always done on-site), or ex-situ (which can be done on- or off-site). In-situ treatment deals with contamination without removing material from the ground. 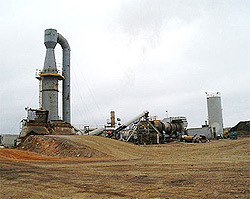 Ex-situ treatment requires the removal of contaminated soil for treatment or landfilling. Selecting and/or designing the right clean-up approach require skill and innovation. Most contaminated sites contain a complex cocktail of contaminants as well as unique site features (geology, hydrology, etc). As such, tailored approaches and technologies are required on a site-by-site basis, as determined through a site characterization and assessment. Other factors involved in technology selection for a particular site include the end goal for clean-up (i.e. : how clean the site is required to be), risk, stakeholder concerns, technological feasibility, available budget, etc. This being said, there is a growing preference for in-situ approaches, and for niche technologies for specialized chemicals which cannot be treated by other remediation technologies.